Our annual guide to festive events taking place in Lanzarote for Christmas, New Year and Reyes / Kings for the 2018/19 winter season. Visit Fuerteventura’s famous Oasis Park from Lanzarote and see over 3,000 animals, live shows and the incredible botanical gardens. 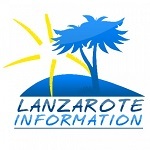 Susana interviews well known local musicain Adrian Bambrough to find out what he loves about Lanzarote and where you can see him play. Norman attended an event at El Almacen in Arrecife to launch the celebrations for the 100th anniversary this year of the birth of César Manrique. Calle Burgao villa is a spacious property in one of the best areas of Puerto del Carmen, close to the fabulous Los Pocillos beach.